Although we are an independent, autonomous local church, we are in fellowship with other organizations of like, precious faith. IFCA International is a fellowship of individuals and churches "Committed to Biblical Ministry." 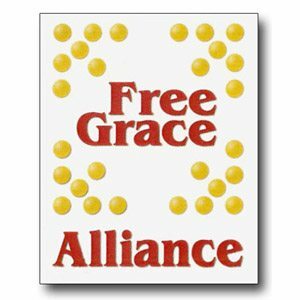 Free Grace Alliance is a fellowship of individuals and churches who are committed to the clear presentation of the "free grace" message of the gospel of Jesus Christ. Their website says, "The purpose of the Alliance is to connect and encourage Free Grace Leaders and Ministries to design, promote, and implement strategies to advance Free Grace Truths throughout the world." Dispensational Publishing House seeks to print doctrinally sound materials, based on a literal, grammatical hermeneutic, which results in a dispensational understanding of the progression of God's dealings with men. Click on the names to go to their websites!